Here is information on the MASTERPIECE Twitter Event for Downton Abbey’s season 4 premiere tonight if you are interested. Tag your posts with the hashtag #DowntonPBS and then visit using your own favorite aggregator. WHO: PBS (@PBS); MASTERPIECE ( @masterpiecepbs); Jarrett Wieselman of Buzzfeed ( @JarettSays); Tom and Lorenzo (@tomandlorenzo); Vanity Fair (@vanityfair); actress Lesley Nicol, Mrs. Patmore on Downton Abbey (@lesley_nicol)– and YOU! You wouldn’t actually serve a cucumber sandwich open face but I thought it looked so pretty. 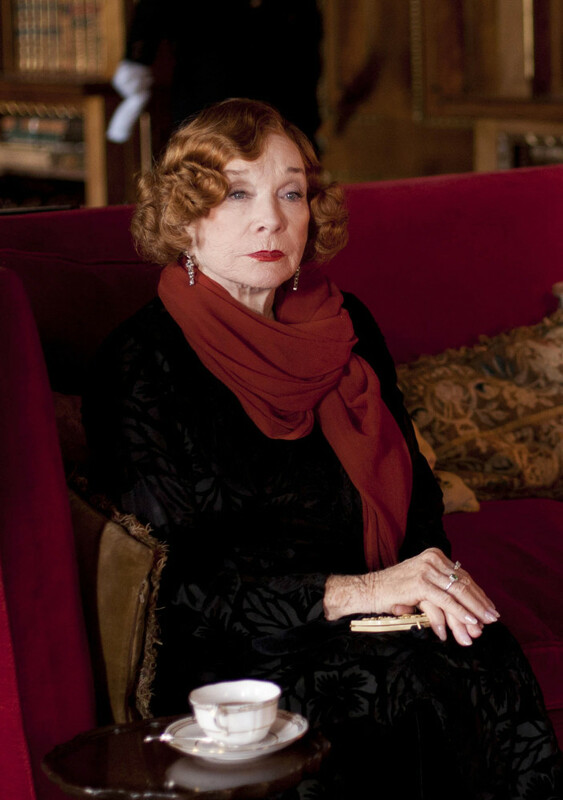 Or a good slog of a fine American bourbon like Cora’s mother, Martha Levinson. 1/5/13 UPDATE: Ha, ha. I just realized that because of my terrible grammar in the sentence (above), I just called Shirley MacLaine a good slog of American bourbon. Yes, Lords and Ladies, Downton Abbey returns tonight on PBS at 9 pm (ET). But you knew that, right? 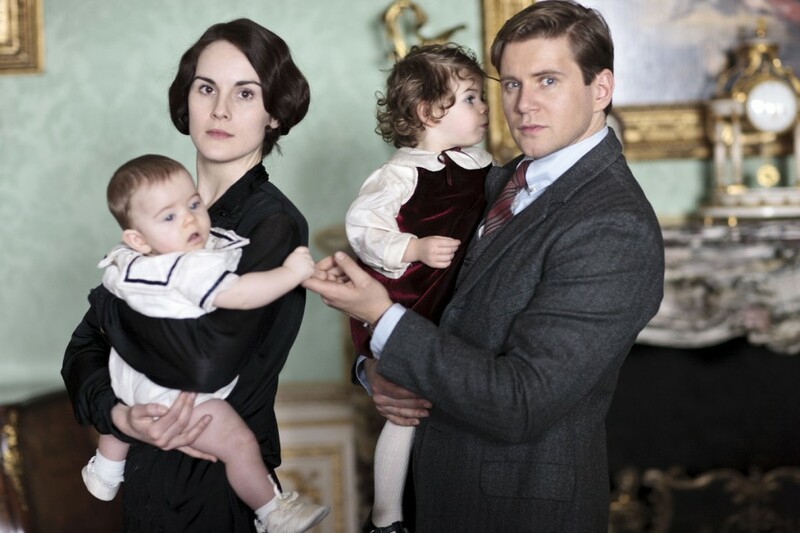 Lady Mary and Branson with their respective aristocratic progeny, baby George and Sybbie. I’m a big fan of the show (and a bit of an Anglophile) so to get in the spirit of the thing, let’s have tea and crumpets, I mean, scones. What is the difference between a crumpet and scone, you might ask? 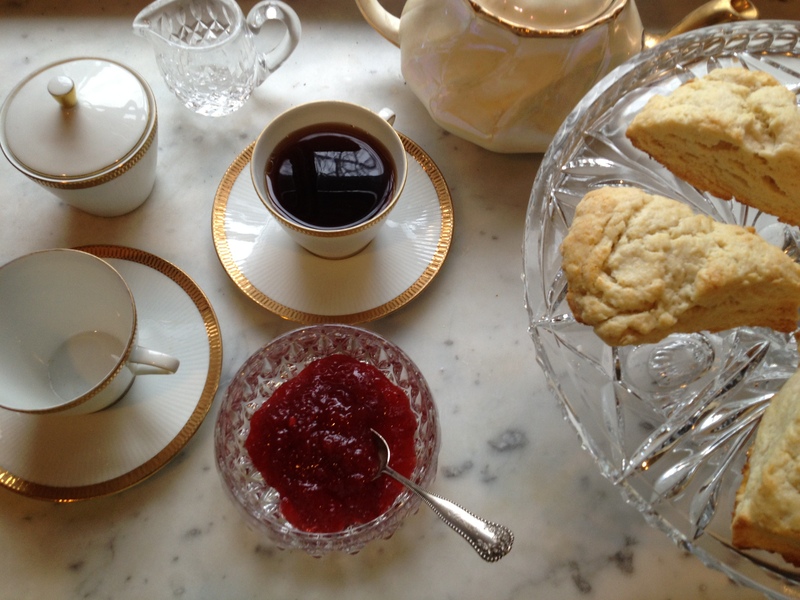 I did a little research (source: M. Skylar Ezell) and discovered that scones are a flaky pastry whose origin dates back to the 1500s in Scotland, while crumpets are likely to be Welsh in origin. The earliest known crumpet recipe was in British entrepreneur Elizabeth Raffald’s cookbook “The Experienced English Housekeeper” in 1769. 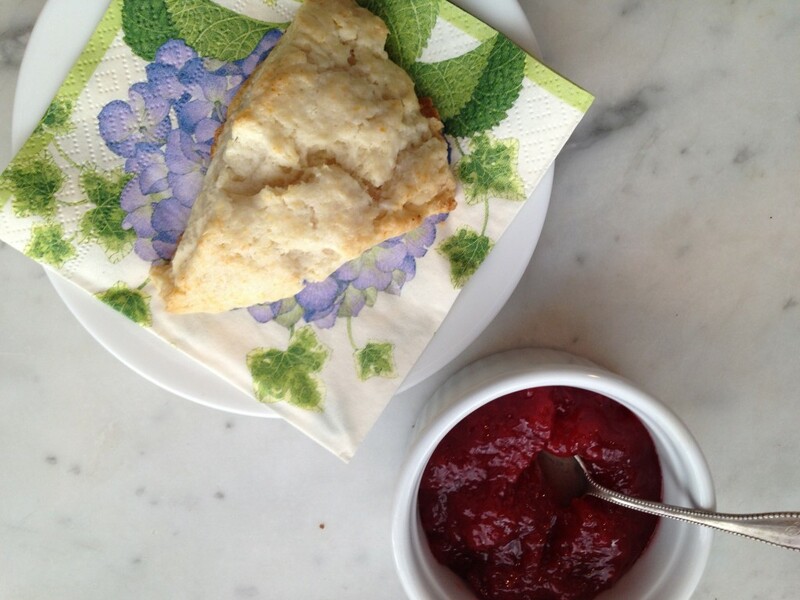 You may have butter, jam or other spreads with your scones or crumpets. 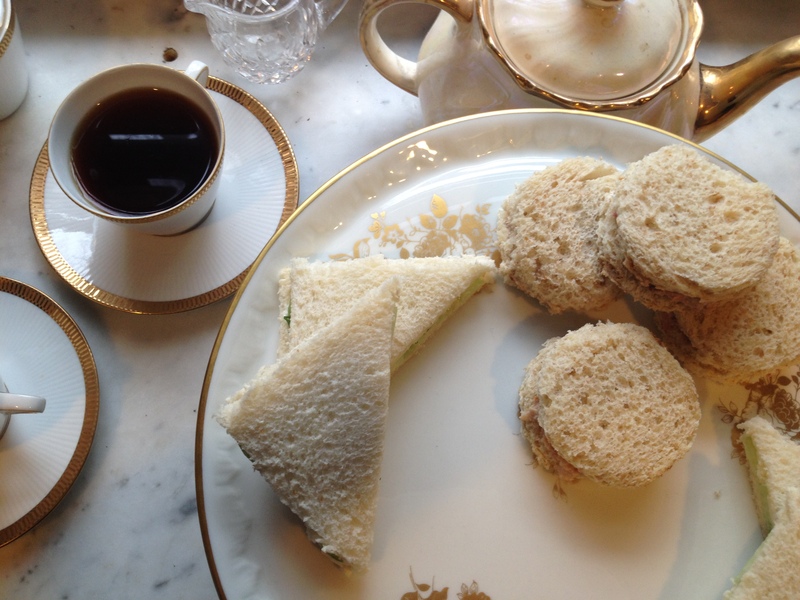 And while scones can either have currants or other dried fruit in them, crumpets do not. For a delectable treat with your tea, serve scones warm straight from the oven, with jam, soft butter, and clotted cream. 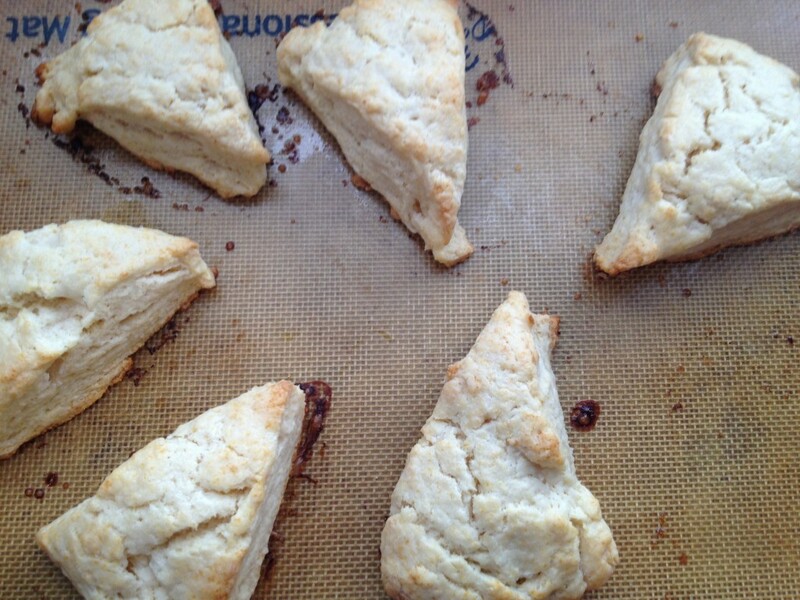 I tested this recipe for Classic Cream Scones from Smitten Kitchen and they were fab.I didn’t add the optional currants or dried cranberries and they were delicious plain and with butter and jam. 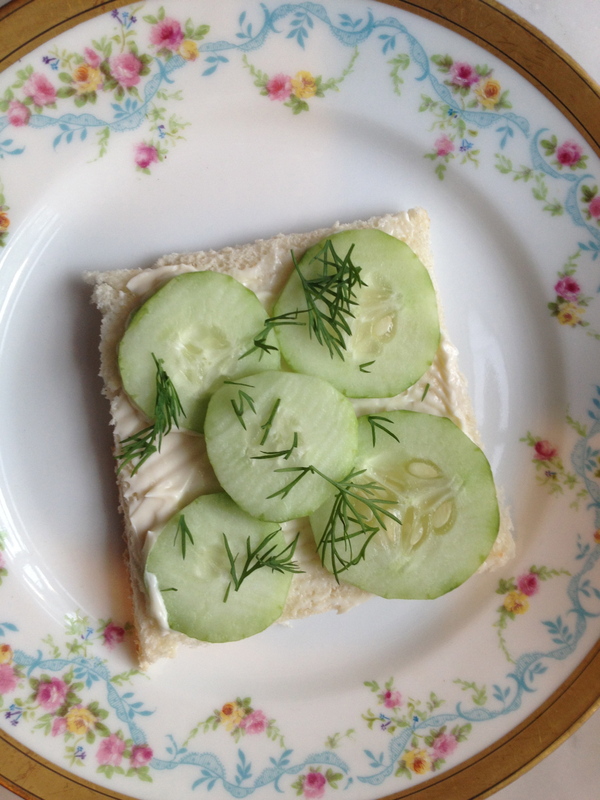 Tune in tonight and come back to Corks & Cake for more Downton Abbey-esque food fun!